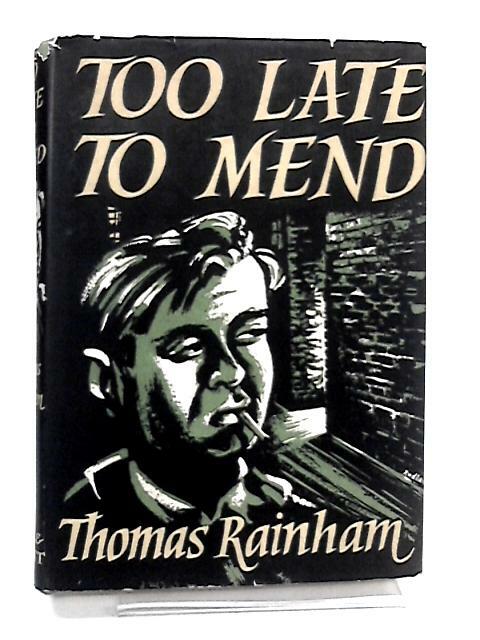 Too Late To Mend by Rainham, Thomas. 1957. First Edition. 229 pages. Black pictorial dust jacket over green cloth. Bright clean pages, with mild tanning and foxing to pages and throughout. Bumping to spine ends and corners with noticeable rubbing and scuffing along edges and over surfaces. Clipped jacket. Chipping and tears to spine ends and along edges with noticeable rubbing and wear over surfaces.